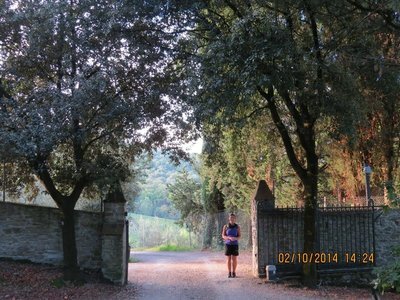 How to HIGHLIGHT the five most memorable experiences on this amazing journey, its nearly impossible as our journey was packed with highlights. 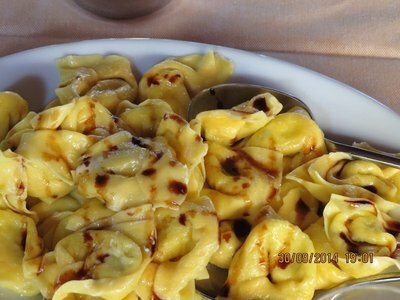 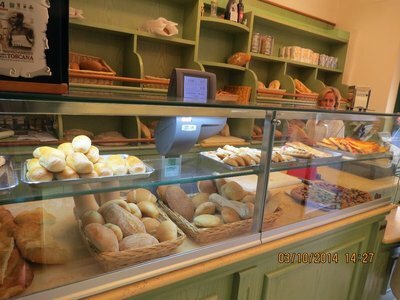 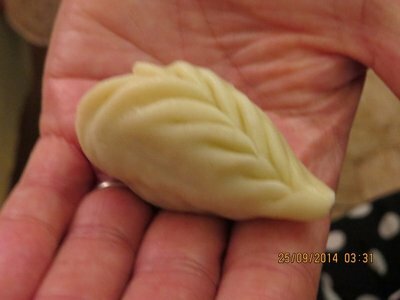 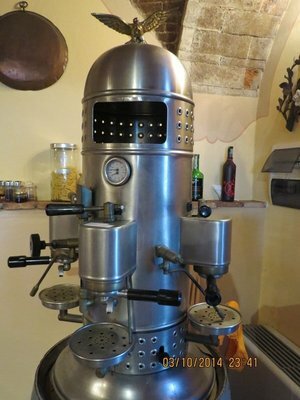 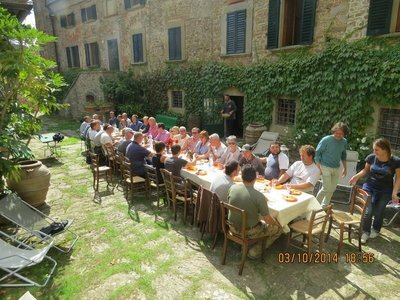 In Sardinia it was a combination of the visit to Morgonongiori where we visited the traditional pasta making business and then experienced a truly amazing lunch at the Agritourisimo SaMatta Frisca. 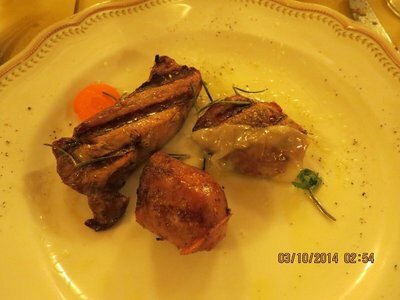 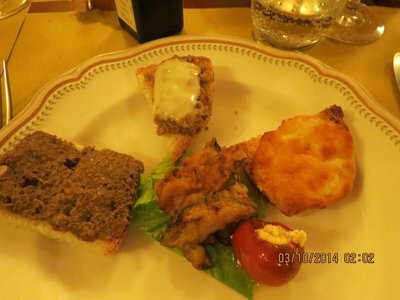 Maybe because it was our first traditional presentation of local , totally local , cuisine, presented in its true rustic charm, but it blew us all away. . 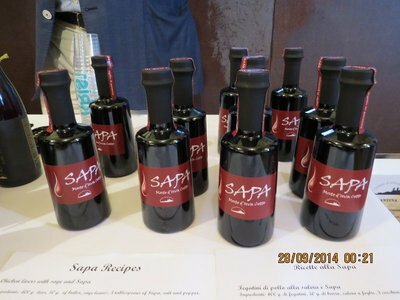 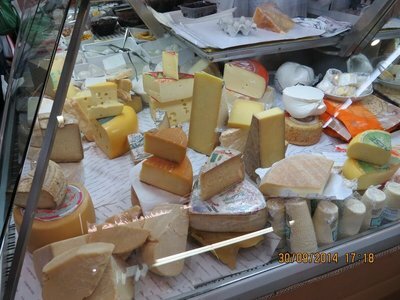 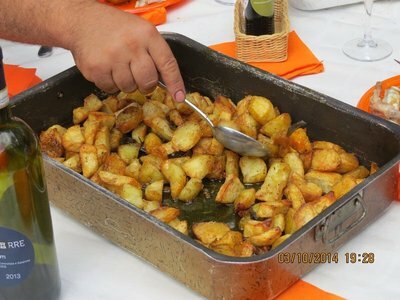 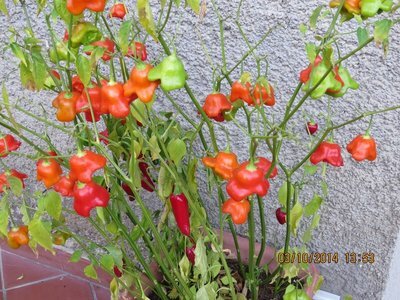 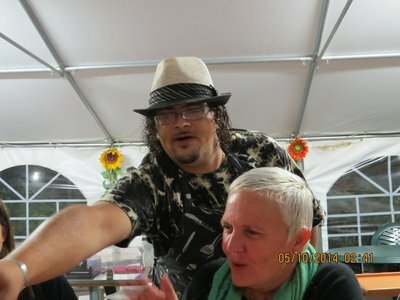 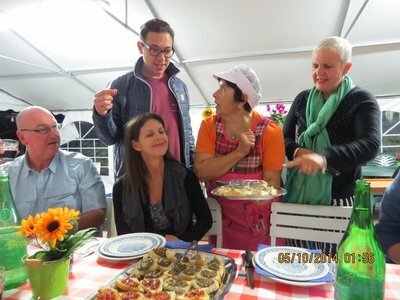 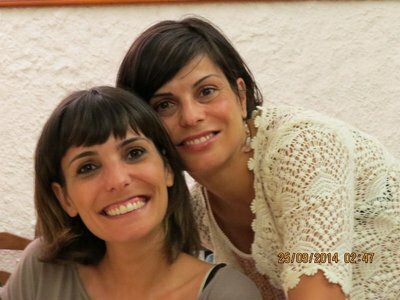 This made the cooking class we took the following day all the more special as it was all explained by our gorgeous hostess Angela from Sardinia Flavour http://www.sardiniaflavour.it/ who really must be contacted if you want the best advice on all things in the food & wine arena of Sardinia. 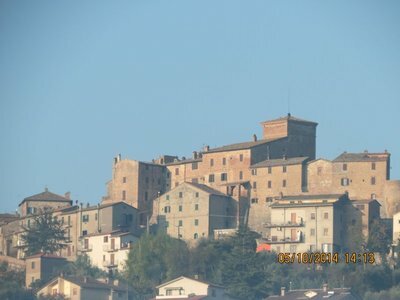 Le Marche . 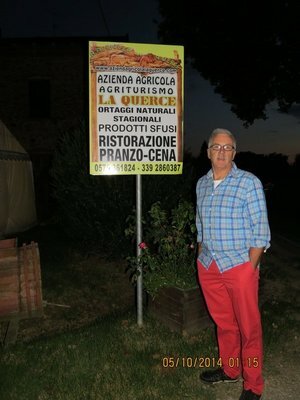 this one was easy for me, whilst staying at Ascoli Piceno we spent a day with the Staffolani family, Truffle farmers extraordinaire, and for me it was the total experience, the education into how and why the truffles grow , how they are harvested, the family involvement, the marketing , and the many ways this incredible flavoured tuba is used in food preparation . . Bosco D'Oro http://www.boscodoro.com/ is a must for food and wine lovers. 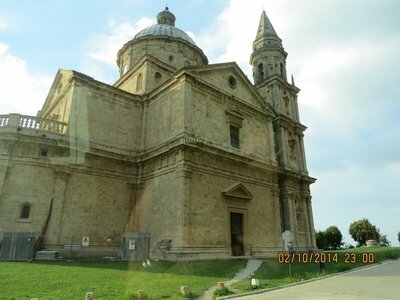 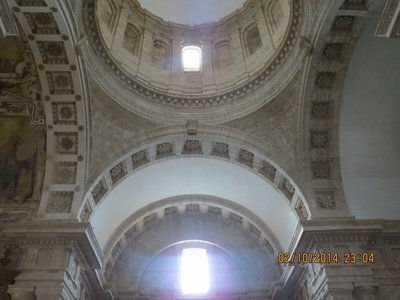 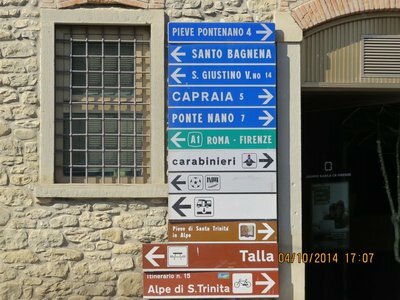 For me, probably the best "total experience" of the 2 weeks travelling around Italy. 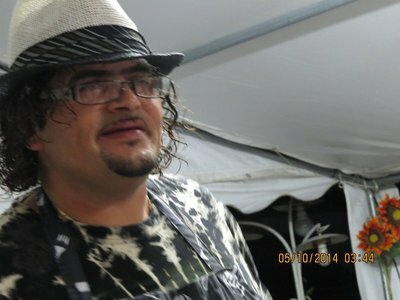 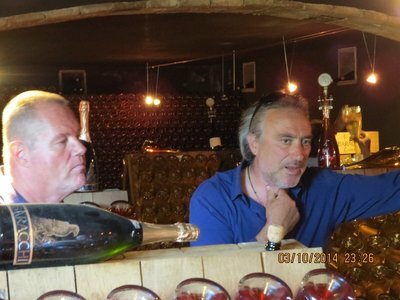 and for those that want more information , especially in Australia contact www.benfatti.com.au both for future tours and also information on their amazing truffle product range. 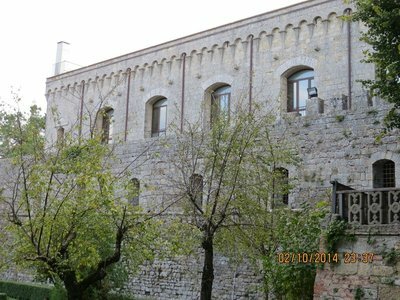 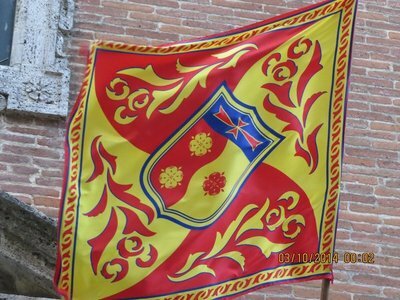 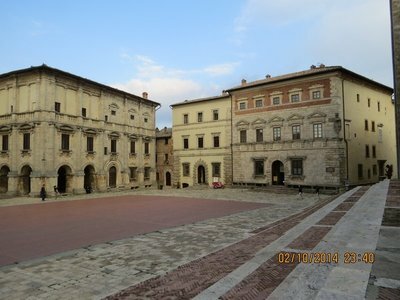 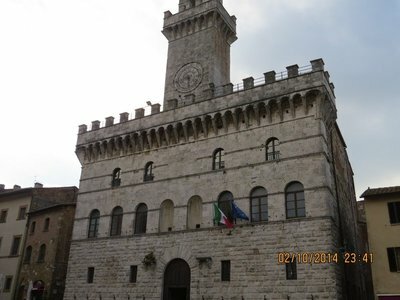 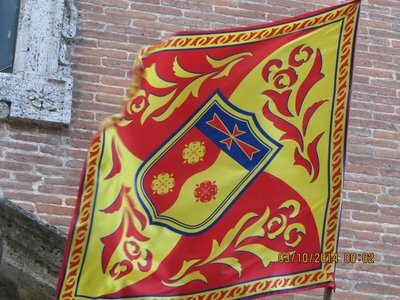 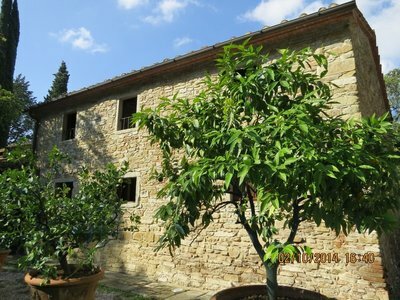 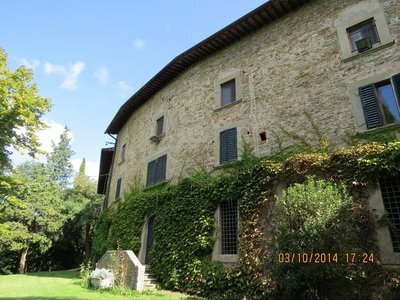 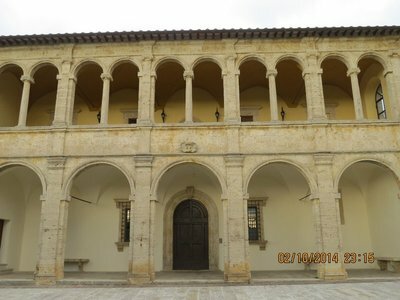 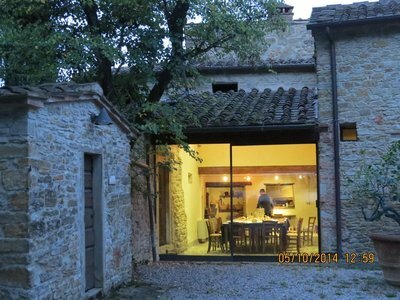 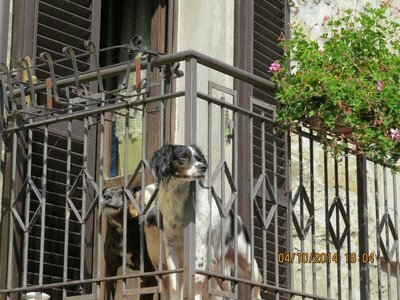 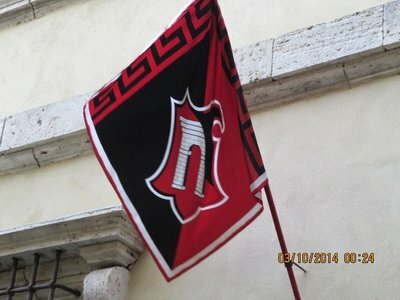 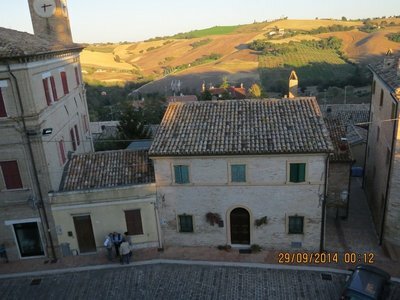 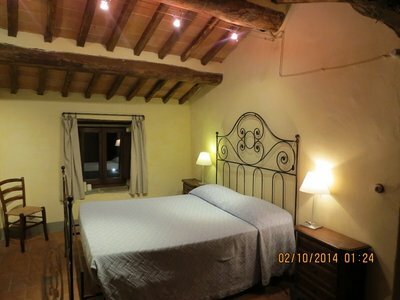 By the way, the accommodation in Ascoli, Palazzo Guilderocci, is a great choice as a base when touring in this region. 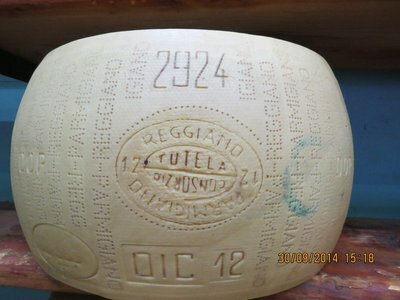 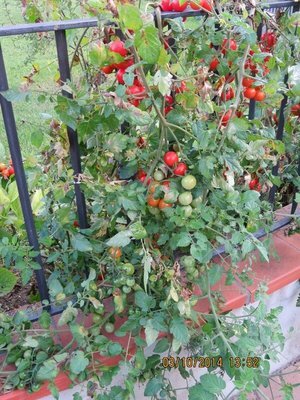 Emilia Romagna, a real surprise packet. 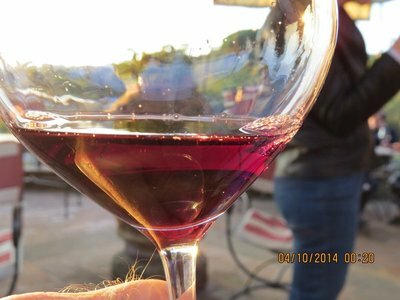 for food & wine experiences, this was a tough decision, and again it was the combination of tastes and flavors that made one day stand out. 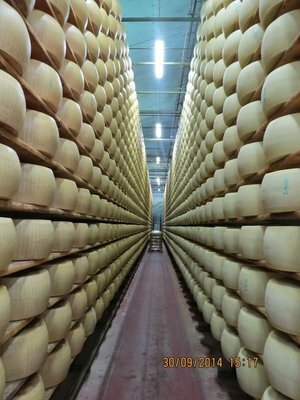 The visit to Hombre & the Panini family business to see how the organic Parmigiano Reggiano is produced was quite extraordinary, and then topped off with a visit to the Pedroni family one of Modena's most highly prized & boutique producers of Balsamic Vinegar D.O.P. 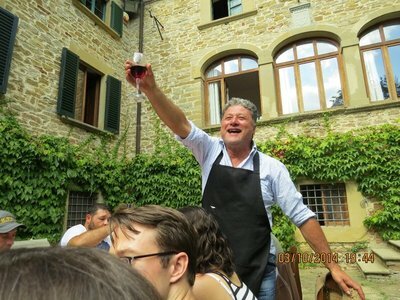 Then there was Tuscany, with our base for 4 nights just outside Arezzo at the gorgeous Relais La Torre, with the Marcelli family.The time at this Agritourisimo was really living the dream in Italy, and everything we did had a reason, our bonus being the completion of vintage and the celebration that goes with that. 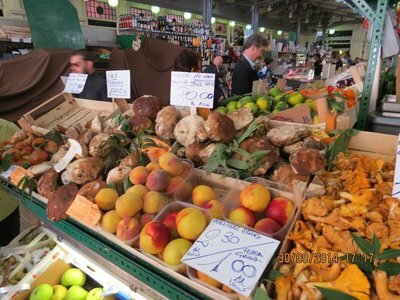 Menus inspired by seasonal produce, its been done for decades and they are passionate about what they eat and how its presented. 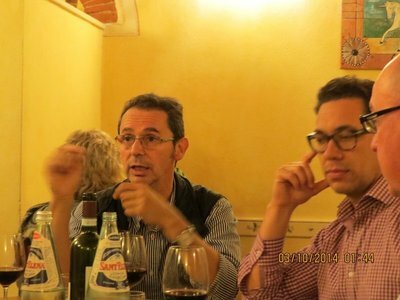 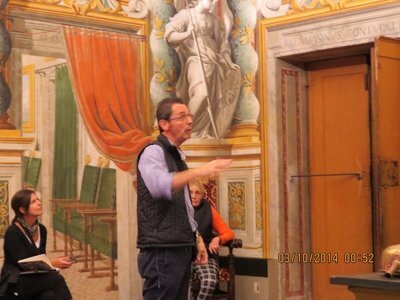 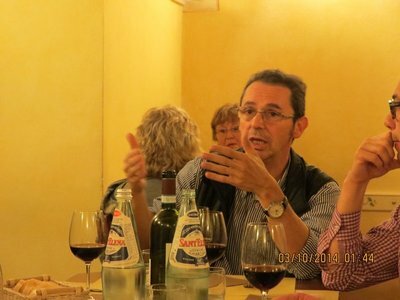 Also special to me was the opportunity to experience Montepulciano, and meeting Andrea Contucci and sharing some of his family's history, and his wines. 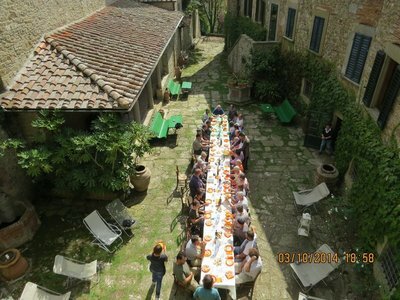 Its a very hard task to pick the best of what was a wonderful 2 weeks of special experiences. 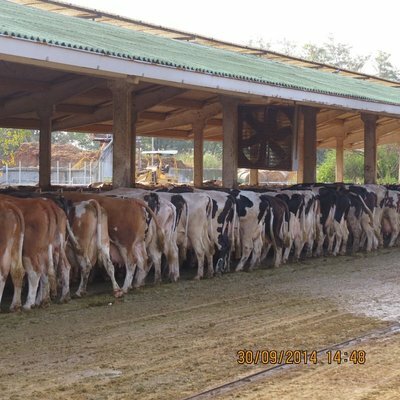 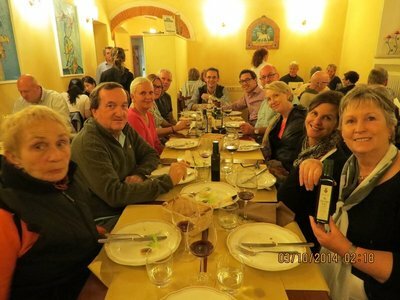 We would, no we will, be going back to spend more time in each of the regions we touched on, to be immersed in what is , in my opinion, one of the best lifestyles in the world. 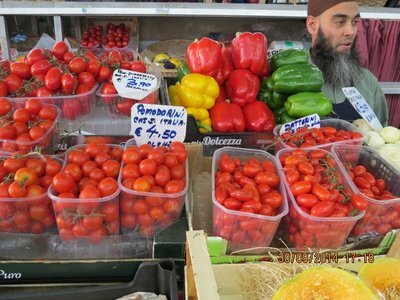 They may be struggling in a poor economy, but they know how to balance life, and food has a central place in that lifestyle. 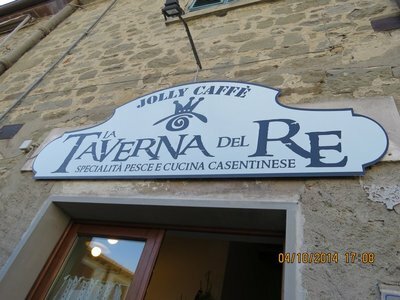 For now we have the opportunity to relaunch our Italian Restaurant here in Bali to promote the cuisine of each of the regions we were educated in. 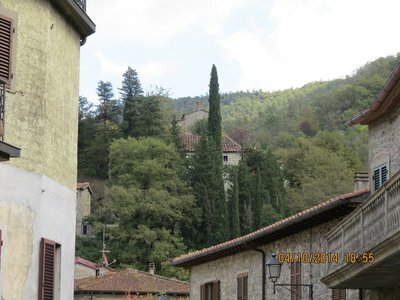 Hard to believe its been 2 weeks of wonderful experiences around Italy and we are finishing off with another day exploring the hills and towns that make up the provence of Casentino, just to the north of La Torre and Arezzo. 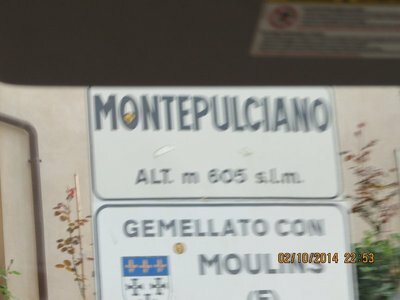 Its only 30 minutes by car , but its a winding road over the hills laced with vineyards & olive groves as we travel from Capolona to Talla. 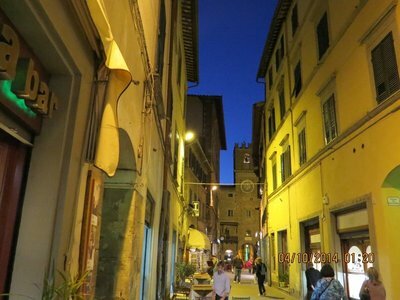 After our final cooking school, we do some touring along the way back into Arezzo, to finally see the old city inside the walls of Arezzo. 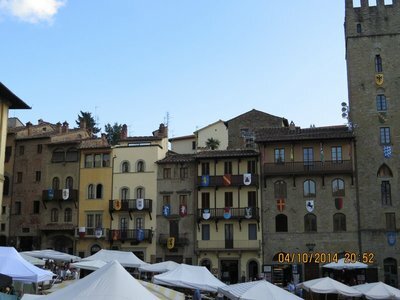 Arezzo (Italian pronunciation: [aˈrettso] is a city and capital of the province of the same name, located in Tuscany. 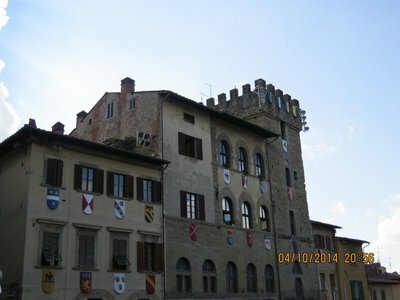 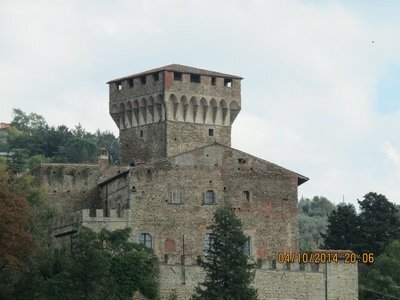 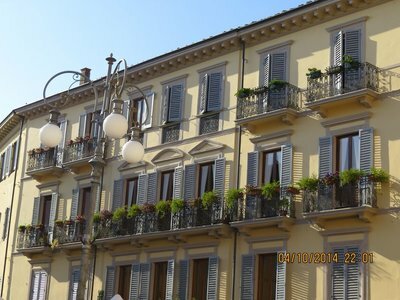 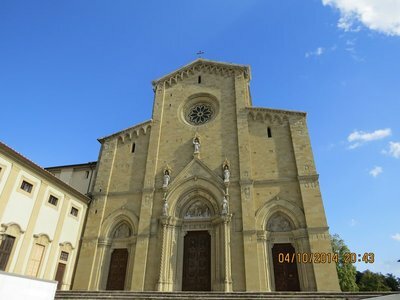 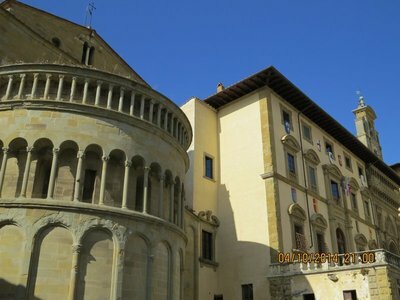 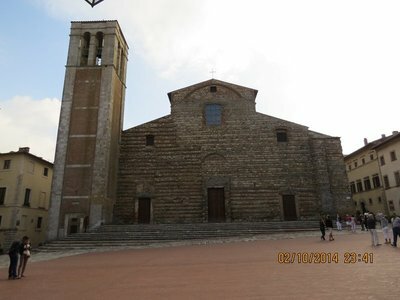 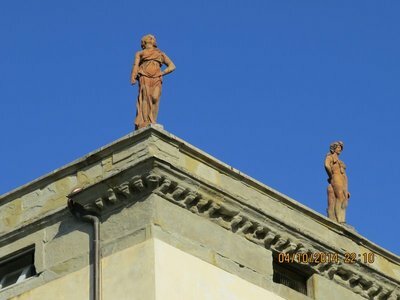 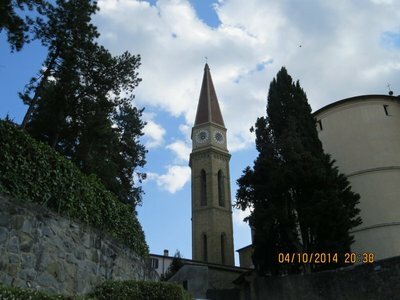 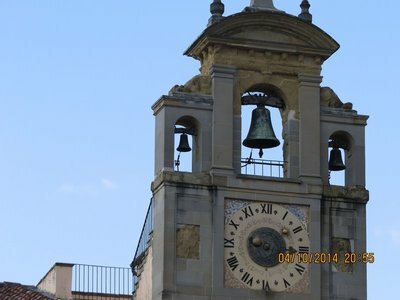 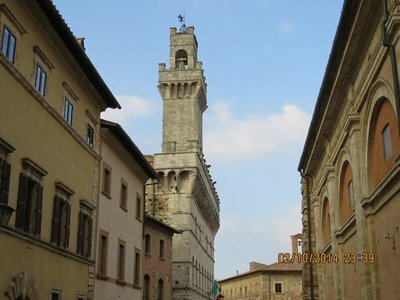 Arezzo is about 80 kilometres (50 miles) southeast of Florence, at an elevation of 296 metres (971 ft) above sea level. 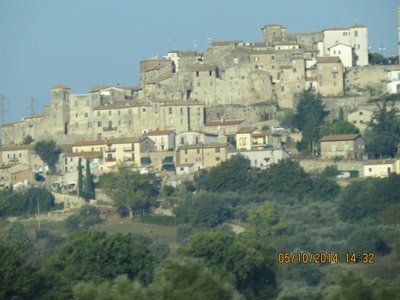 In 2011 the population was about 100,000. 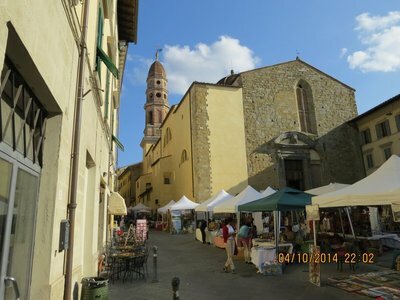 Its a special day today as once a month the entire central Piazzas , plural, inside the old city are host to the monthly Antique markets. 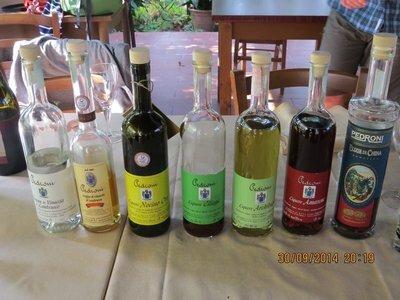 From somewhere the grappa arrives, and from memory, Lemoncello, . 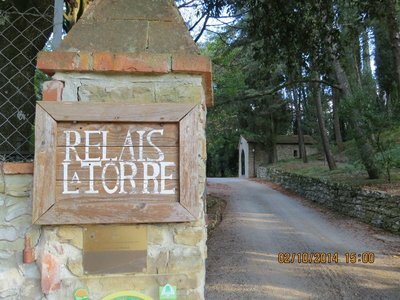 Finally we all head back up the hill to the wonderful La Torre for our final nights sleep in this extraordinarily magical place before we head to Rome for flights home. 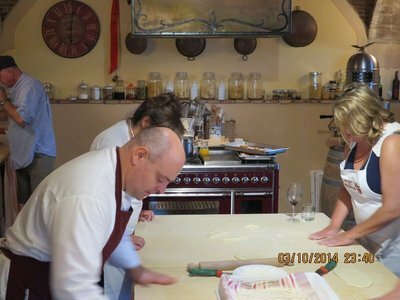 We are rallied to help in the preparations in the kitchen of Relais La Torre for the annual celebration of the grape harvest. 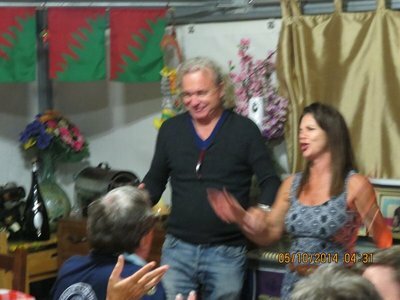 Little did we know that our timing was perfect for this day of frivolity & merriment. 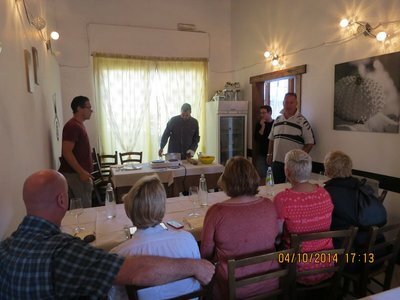 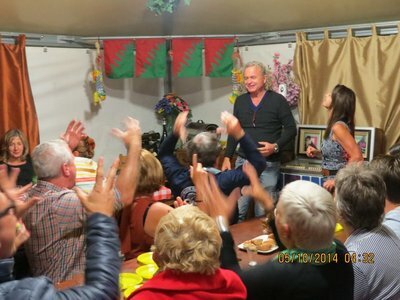 This year the grape picking has finished a little later than usual so we get to join in the celebration where Tulio and his family thank the workers for their efforts in bringing in the fruit that will in time turn out some of the best wines in the region. 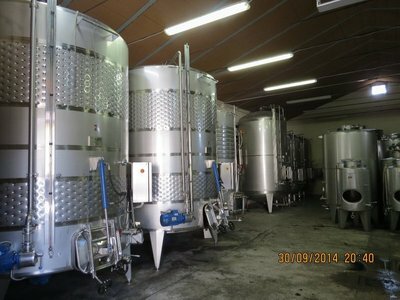 All hand picked, from organically certified vineyards, the Sangiovese and a small amount of Merlot is tucked away beginning the fermentation and organic winemaking process that will produce this vintage of Chianti, Chianti Riserva, I Lastricheti ( amazing wine) & the Macchione. 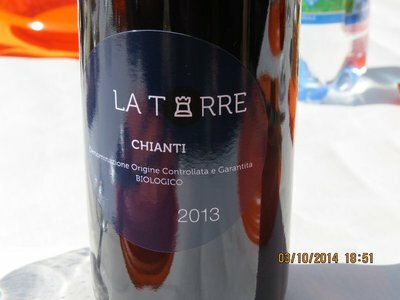 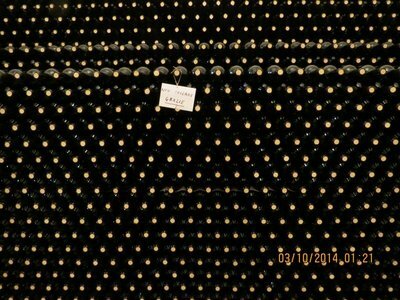 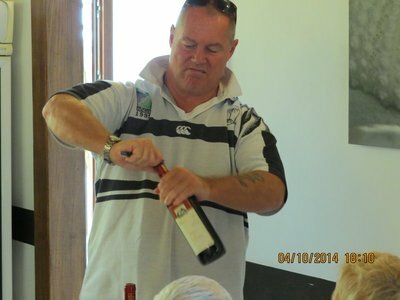 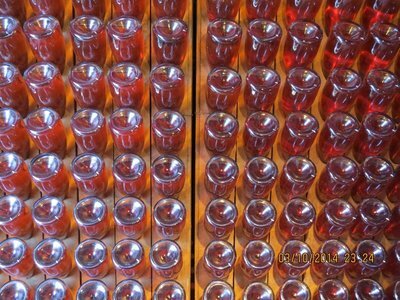 I hope we will be back to try these wines when they are finally bottled which will be in about 2 years time. 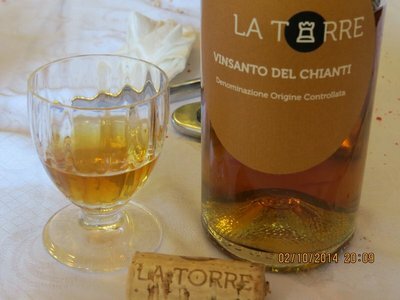 The grapes for the other local speciality, the Vinsanto Di Caratello DOCG an amber coloured dessert wine produced from selected grapes of Malvasie, Trebbiano, Canaiolo & Colombano ( which i think is the variety we know as Colombard) are the ones hanging in the attic intensifying their sugar levels Its almost like a botytised Semillon with a dried fruit and honey flavour. 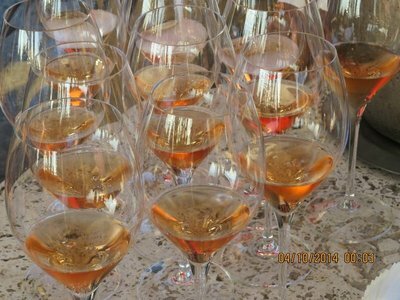 We have been fortunate enough to try just a few. 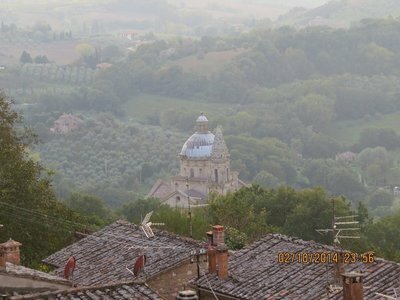 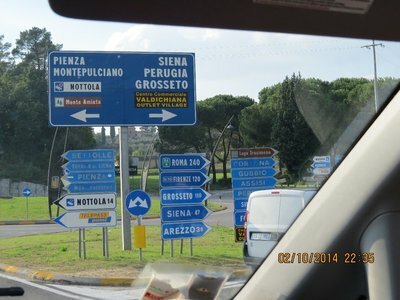 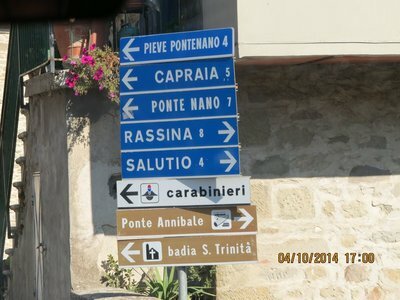 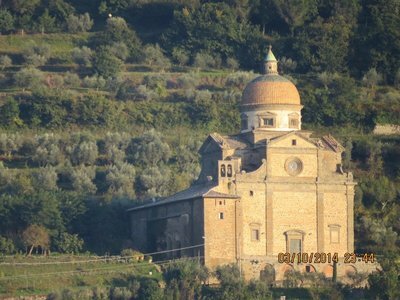 The day continues with a journey down to Cortona, about 30 minutes south of Arezzo. 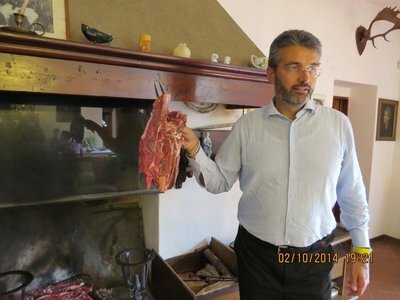 We have an invitation to meet the owners of Baracchi Estate the charismatic Riccardo and his Michelin Star chef and wife Silvia. 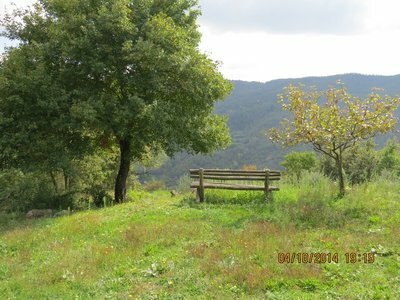 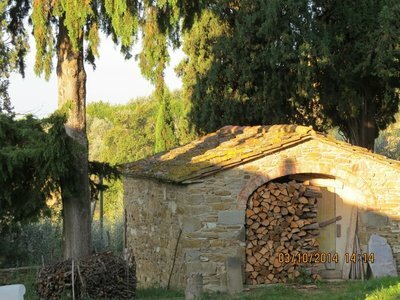 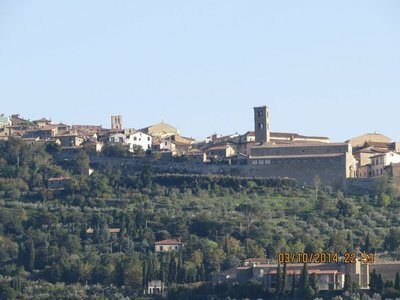 The Baracchi Estate is located on a beautiful slope just east of Cortona with a wonderful view of the Valdichiana Valley. 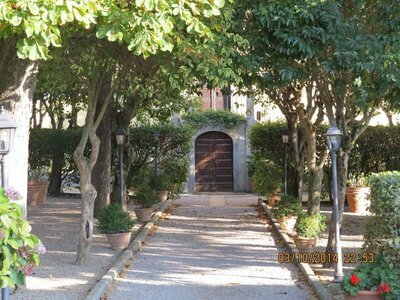 This estate belongs to the Baracchi family since 1860 and witnesses the desire of maintaining the tradition of grape and wine making. 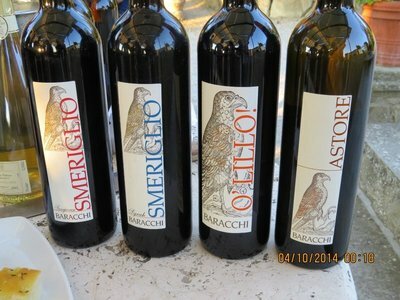 Riccardo Baracchi runs Baracchi Winery with his son Benedetto, continuing a long family tradition. 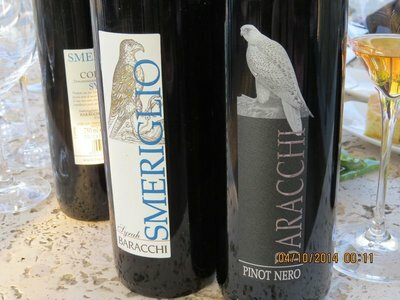 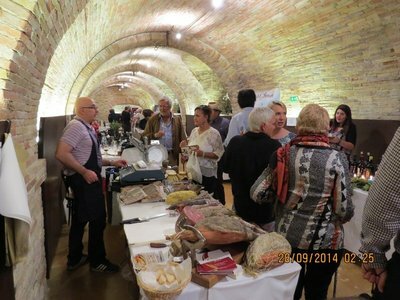 They create some of the region's best wines, such as the Baracchi Brut Rose, the Smeriglio Sangiovese, and the Ardito IGT. 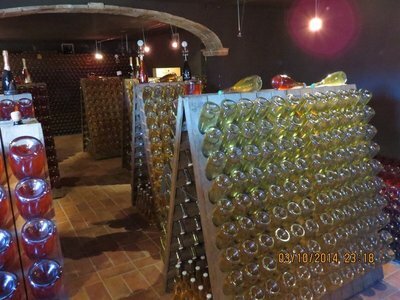 There are 60 hectars of land, 22 planted with vineyards, all at about 300mt in altitude with a southern exposure that lets the grapes fully matures. 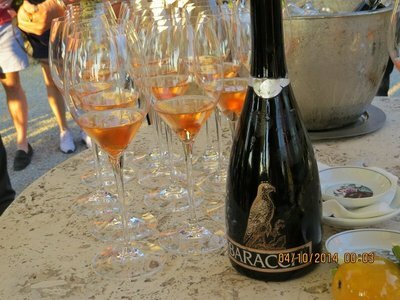 As the sun sets in the west we taste the full range of the Baracchi wines including the award winning baracchi millesimato brut rose , their answer to the French Champagne. 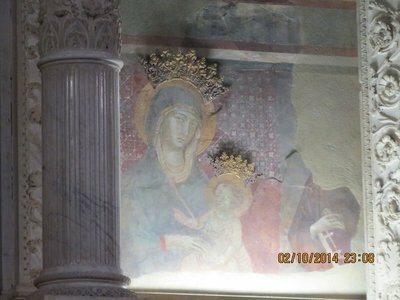 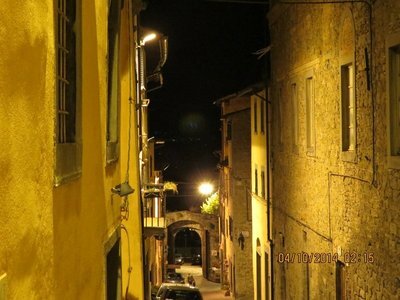 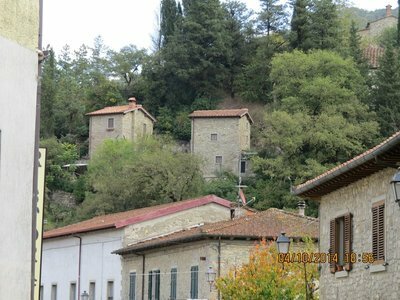 The prevailing character of Cortona’s architecture is medieval with steep narrow streets situated on a hillside at an elevation of 600 metres (2,000 ft) that embraces a view of the whole of the Valdichiana. 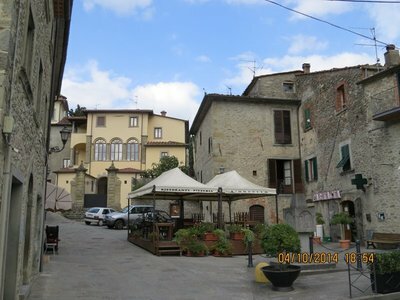 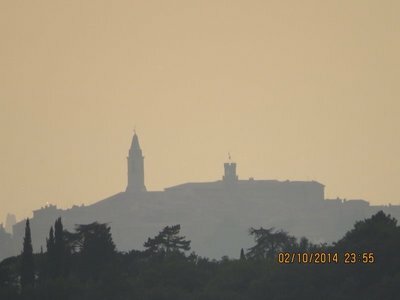 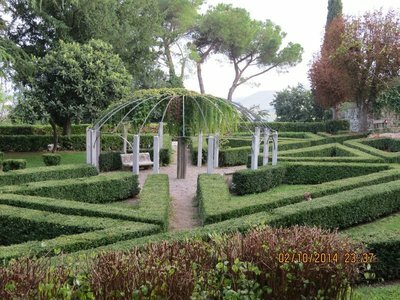 From the Piazza Garibaldi (still referred to by the local population by its older name, Piazza Carbonaia) is a fine prospect of Lake Trasimeno, scene of Hannibal's ambush of the Roman army in 217 BC (Battle of Lake Trasimene). 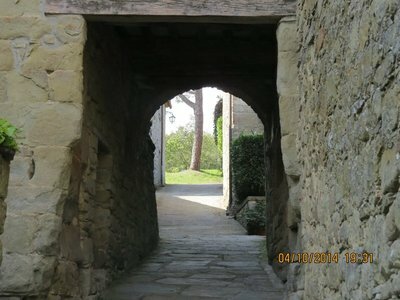 Parts of the Etruscan city wall can still be seen today as the basis of the present wall. 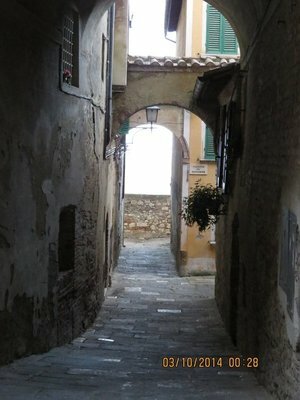 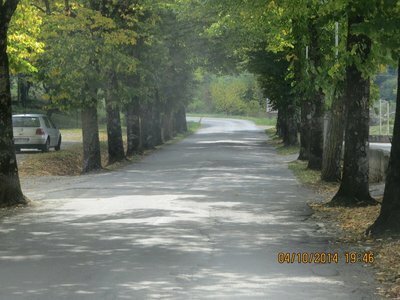 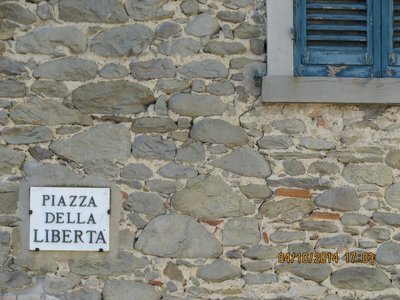 The main street, via Nazionale, is the only street in the town with no gradient, and is still usually referred to by locals by its older name of Ruga Piana. 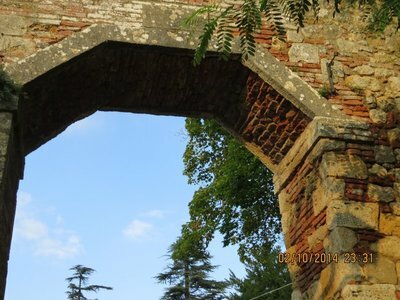 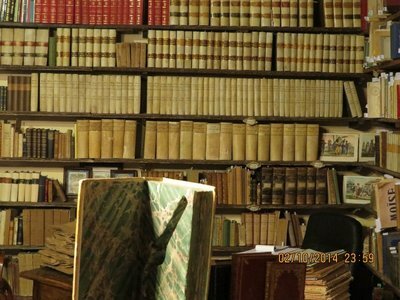 Although we only had about an hour to explore, it was enough to convince me that this is worth a day trip back to unearth the hidden treasures.. 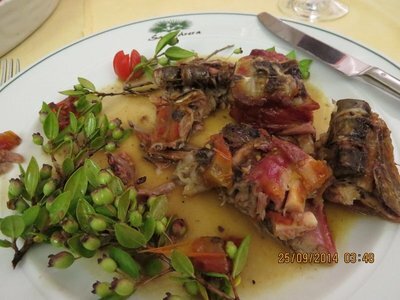 So its in the memory bank for another trip, maybe when we return to La Torre for an extended stay. 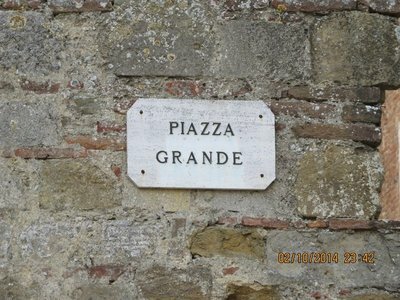 But for now, time for an early night before our final day in this wonderful part of the world. 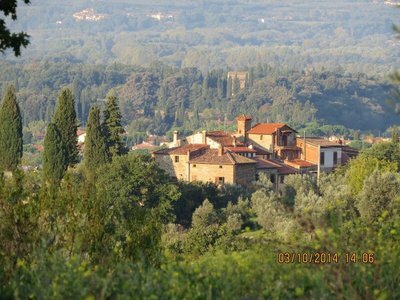 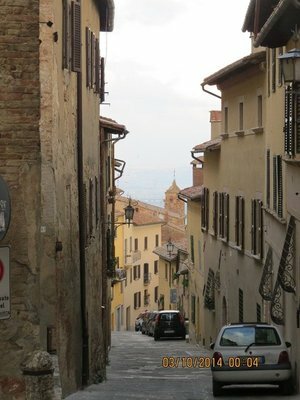 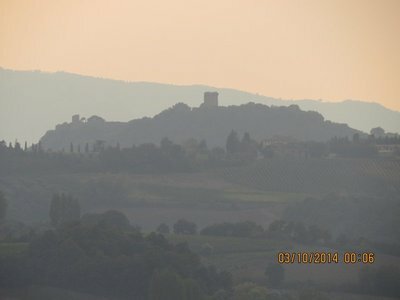 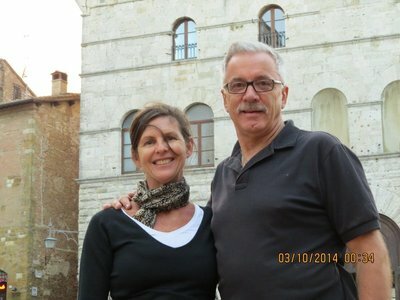 Setting out from Arezzo, we travel south to the very famous hilltop town , and one I have always wanted to visit , Montepulciano. 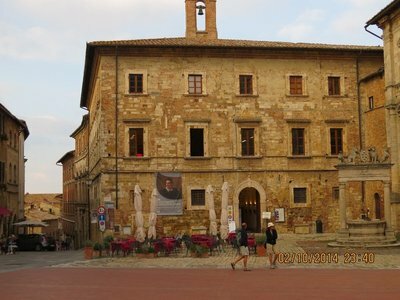 we have a a tour of the town lined up before a very special meeting with the Count of Montepulciano in his 1000 year old cellars followed by dinner with his wines matched to each course. 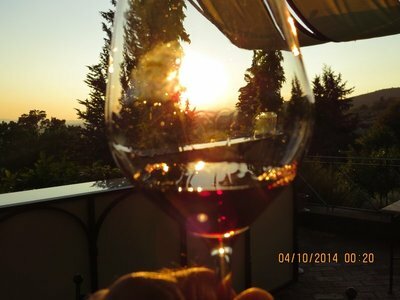 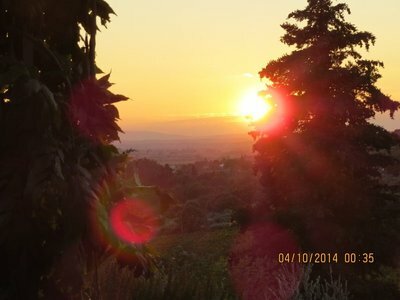 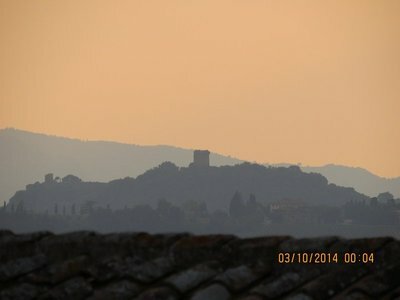 Carla, our local guide bids us farewell as the sun sets over the hills of Tuscany and we head across the Grande Piazza not knowing that we would soon be below the Piazza walking through 1000 year old cellars . 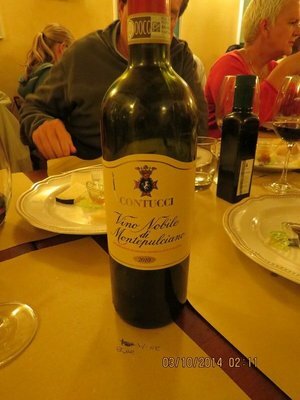 The Count of Montepulciano, and the head of the Contucci family is our host for the evening. 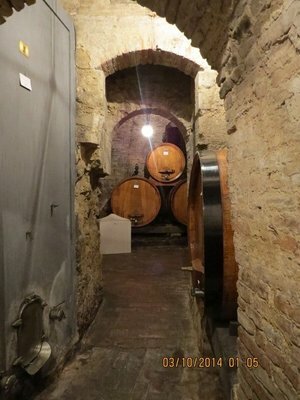 then we are heading down under the Piazza and through mazes of tunnels, with stories of how these tunnels actually have paths leading for miles below the city The Contucci family is one of the oldest families in Montepulciano and they have been cultivating grapes since Renaissance times. 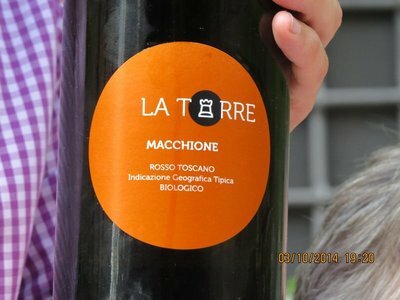 Of their 170-hectare estate, 21 hectares are vineyards, with 15 hectares dedicated to Vino Nobile. 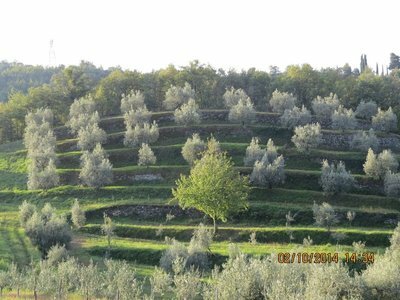 The remaining 6 hectares are used for the Rosso Di Montepulciano, Bianco della Contessa, Il Sansovino, Vin Santo and Bianco della Contessa. 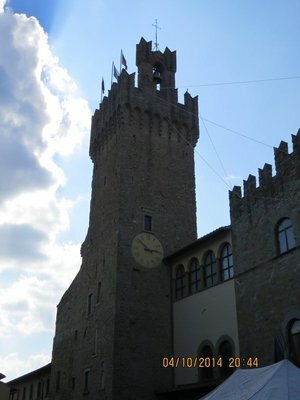 The Palazzo Contucci on Piazza Grande is the residence of the Contucci family as well as the location of their cellar. 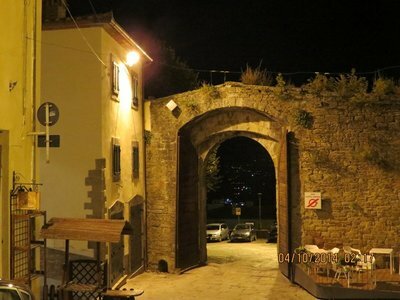 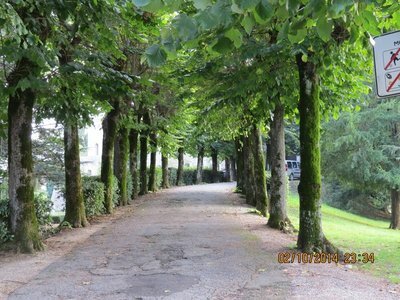 All the wines produced by the Contucci estate are matured in oak barrels here.The entrance to the cellar is just off the main square and tourists are welcome to just stroll around the cellar to see where their precious wines are cellared. 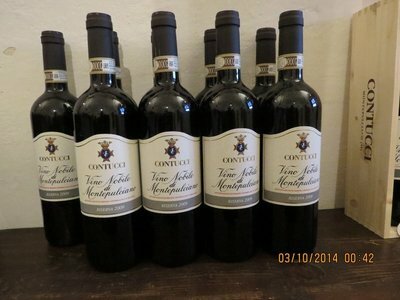 We were quite surprised that no one from Contucci supervised us as we sniffed around the cellar, drooling over the barrels of the noble drop. 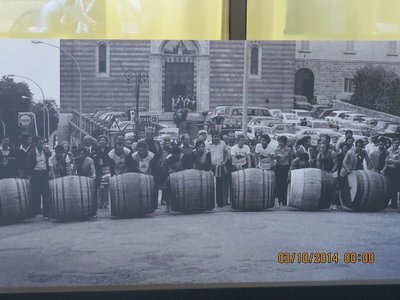 As far back as the Renaissance the Contucci family were cultivating the grape and by 1700 this activity of theirs' was much appreciated. 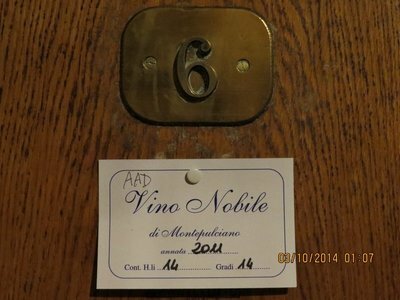 In fact they were one of the "founding fathers" of Vino Nobile, as is documented in 1773; having a major role in making it world famous: "a noble wine destined for the table of gentle folk". 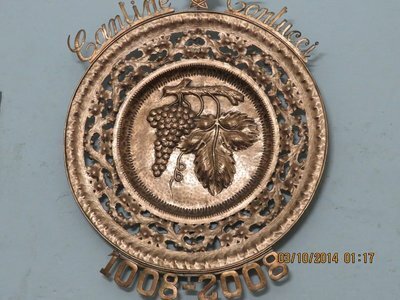 By 1800 the fame of their wine was demonstrated by numerous medals and testimonials, which they had won. 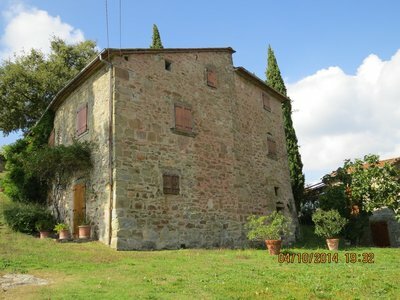 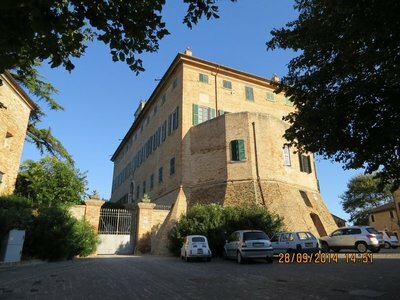 The building of the Contucci cellars took place before the mansion of the same name, which was once inhabited by Pope Giulio III and the by the Grand Duke Ferdinand I. 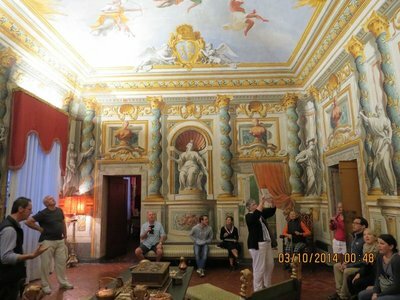 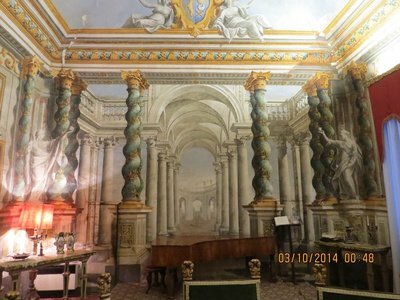 The mansion was built by Antonio Sangallo the older and painted internally with affrescoes by Andrea Pozzo. 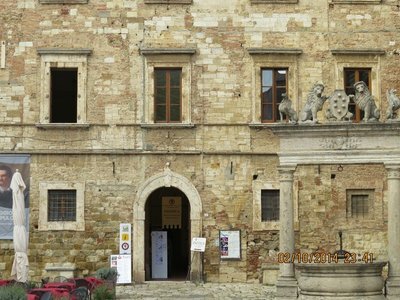 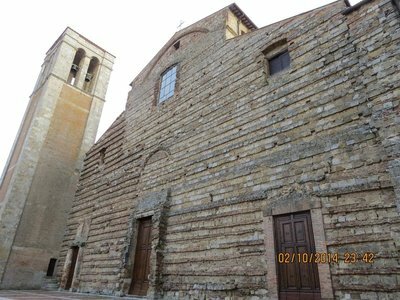 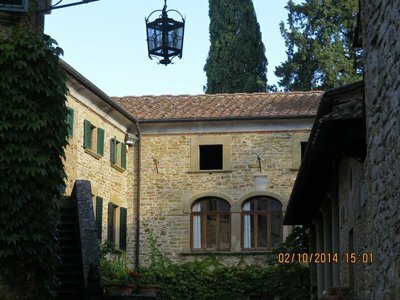 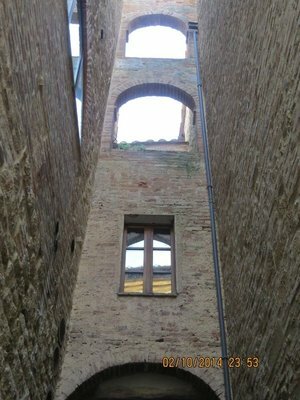 One can therefore say that both house and cellars were built in the XIII century and were part of the old inner walls of Montepulciano. 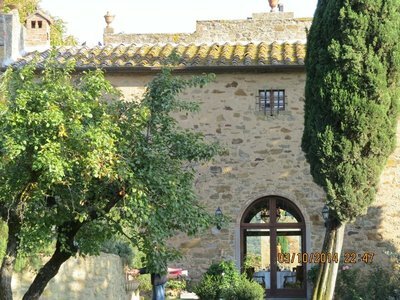 Alamanno ContucciThe farm estate is 170 ettari in size, of which 21 ettari are vinyards, 15 devoted to Vino Nobile, whilst the others are used for the production of Rosso di Montepulciano, Bianco della Contessa, Il Sansovino and Vin Santo. 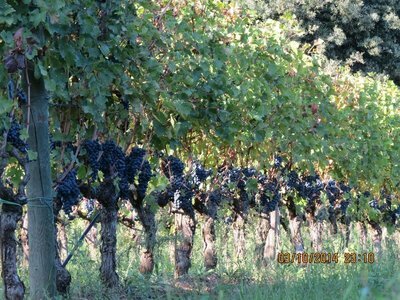 These vineyards are situated in one of the best zones of production in the area, at a height of between 280 and 450 metres. 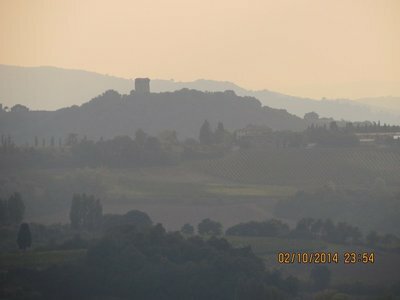 The soil is mostly pliocenica in origin mixed with some clay and sand. 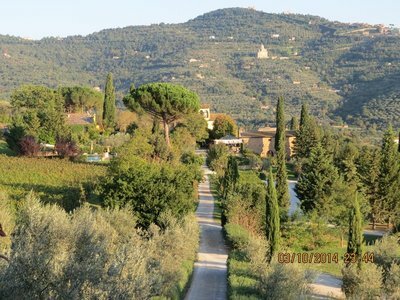 The vines, only local varieties (Prugnolo Gentile, Canaiolo nero, Mammolo, Colorino, Trebbiano Toscano, Malvasìa del Chianti and Grechetto) are raised at Guyot and are planted at a density of about 3.300/4.000 plants per hectares with a limited yield (less than 55 quintals per hectares) which permits the use of the very best quality grapes. 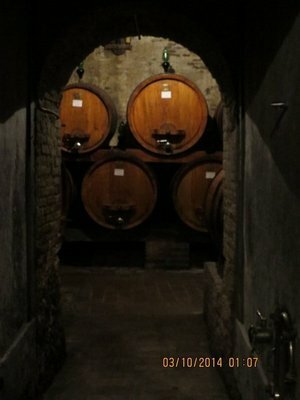 Vino Nobile di Montepulciano Wine. 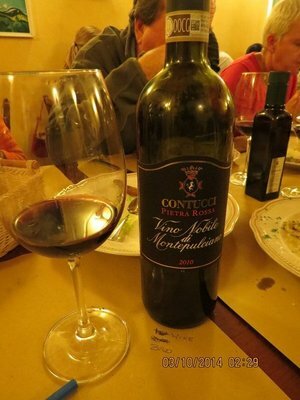 Vino Nobile di Montepulciano is one Italy's classic red wines, and has unquestionably helped Tuscany retain its privileged place on the world wine map. 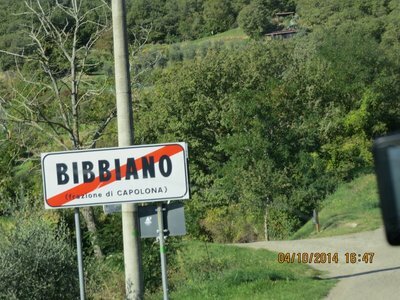 It comes from the vineyards which surround Montepulciano, a picturesque hill town 25 miles (40km) southeast of Siena, southeastern Tuscany. 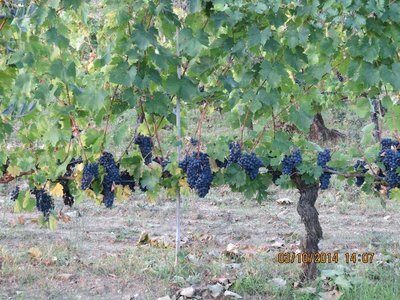 Viticulture here dates back many centuries to Etruscan times. 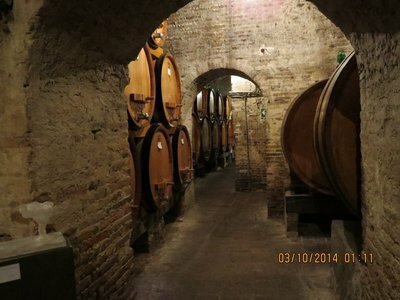 During the 15th century, the local wine was a favorite among the local Sienese aristocracy, and in the 16th century it was revered by Pope Paul III, who spoke of the wine's excellent qualities. 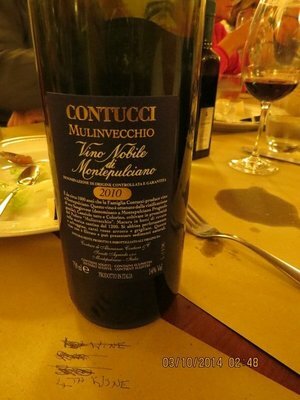 Vino Nobile di Montepulciano was written about in the poem "Bacco in Toscana" (Bacchus in Tuscany) by Francesco Redi, who described it as "the king of all wines", and the wine was also mentioned by renowned French writer Voltaire in his book Candide. 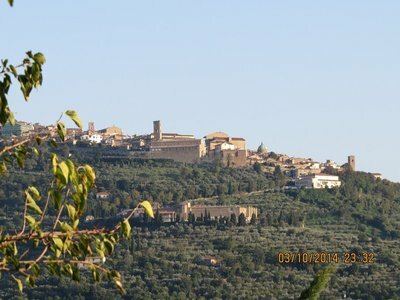 For a short while in the 19th century, the Montepulciano's red wines went through a period of somnolence, and were often labeled as Chianti (this town is located within the Chianti Colli Senesi sub-zone). 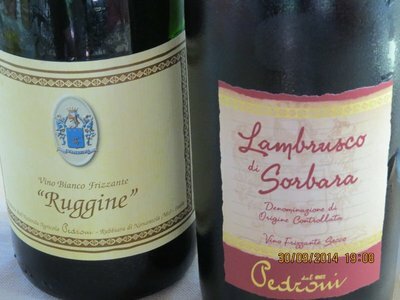 Fortunately, with the arrival of the DOC regulation in the 1960s, it regained its stature as a fine and noble wine, and received further dues in 1980 when it was awarded the DOCG classification. 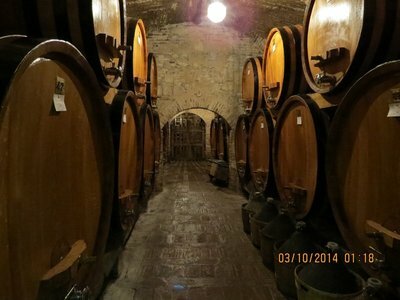 The aging period for any Vino Nobile di Montepulciano is a minimum of 24 months (36 months for the riserva wines) of which at least 12 months must be spent in oak barrels. 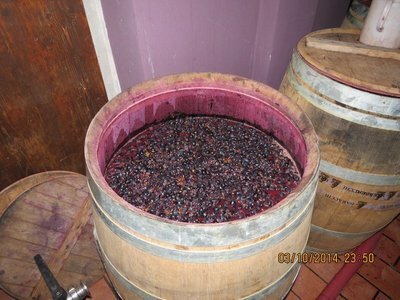 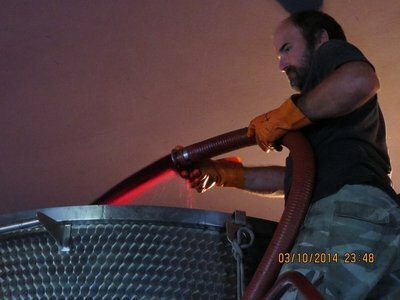 Local winemakers long used large Italian botti, rather than the smaller French barriques, as barriques would bring an undesirable level of toasty, vanilla oak flavors to the wine. 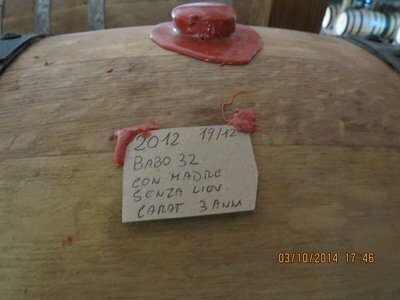 The larger botti have a lower surface area relative to the volume of wine they contain, meaning less oak flavor in the finished wine. 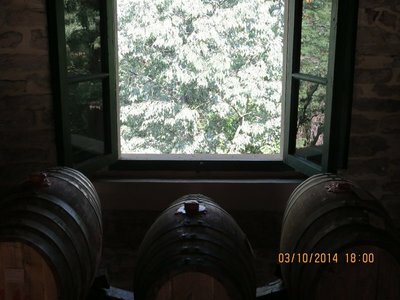 Oak barrels are used here not so much for their flavor as for the slow, controlled maturation they provide. 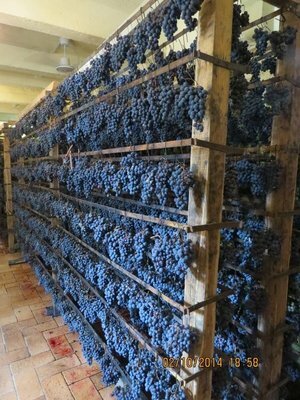 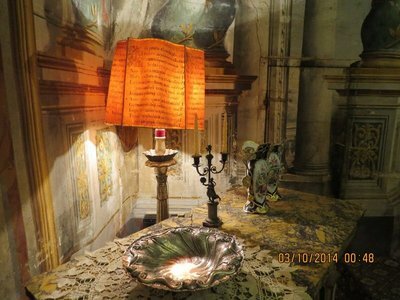 This tradition has now become enshrined in the Vino Nobile di Montepulciano DOC laws. 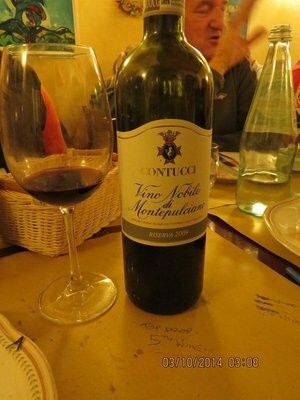 Vino Nobile di Montepulciano is usually maroon-red in color and takes on a subtle brick-orange tint over time. 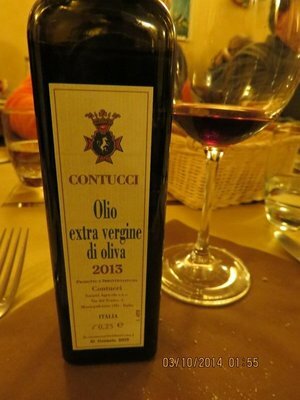 It is characterized by its dark cherry and rich plum aromas, ripe strawberry and cherry fruit flavors, and a gently tannic 'tea-leaf' finish. 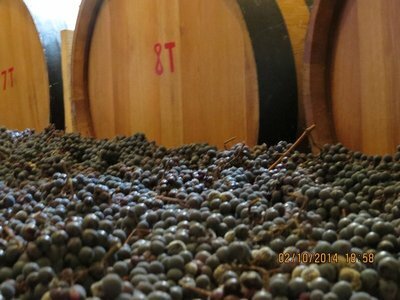 It is also known for its medium body, firm tannins, and for the acidity which makes it a particularly age-worthy wine (well-made examples improve gracefully over one or two decades). 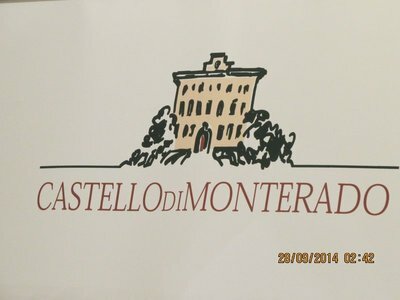 Some have described the wine as having the perfume of Chianti Classico's with the richness of Brunello di Montalcino's richness. 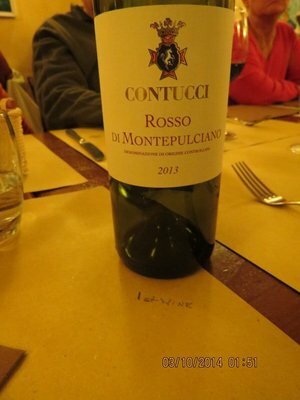 Montepulciano also produces sweet, white Vin Santo di Montepulciano, and Rosso di Montepulciano – a dry red made in a more modern style, with fewer tradition-bound constraints. 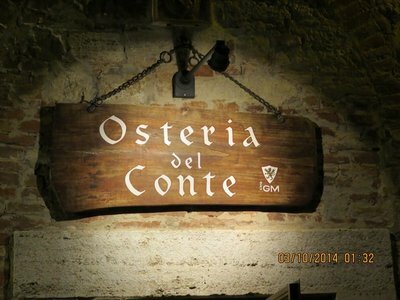 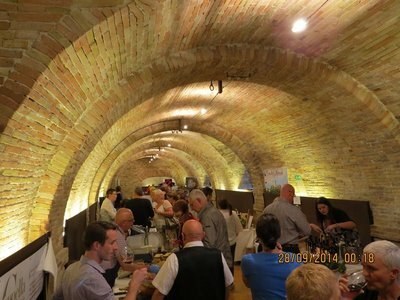 Its time for dinner and we are escorted by the Count to the family owned Trattoria Osteria del Conte, where we have a 6 course dinner matched with 6 of the best wines from Contucci ..